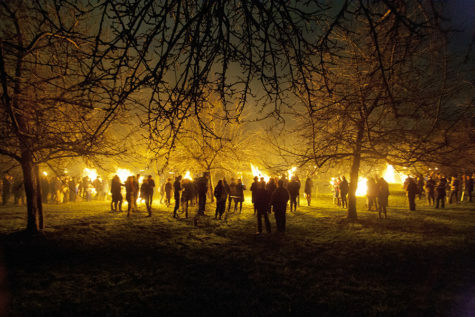 The wassail—a centuries old tradition from Great Britain—is a joy-filled party celebrating the Winter Solstice, Christmastime and happy tidings. Indeed, many of the traditions of this likeable event are the originators of well-known seasonal classics (like caroling, for one). The word wassail itself comes from the old Norse “ves heill,” which literally means “be healthy.” It is a toast of goodwill and is at the heart of what wassailing is all about. 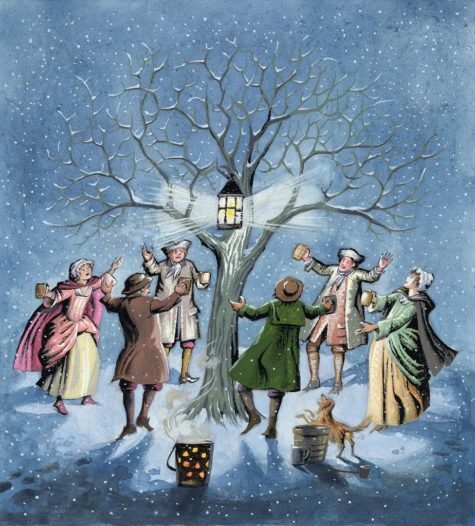 When carolers entered a home they would sing, share the wassail and receive eats and drinks themselves (such as plum pudding or shepherd’s pie), at which time toasts for a merry Christmas and happy tidings for a new year would be exchanged by all. One legend about how Wassailing was created, says that a beautiful Saxon maiden named Rowena presented Prince Vortigen with a bowl of wine while toasting him with the words ‘waes hael‘. Over the centuries, a great deal of ceremony developed around the custom of drinking wassail. The bowl was carried into a room with a great fanfare, a traditional carol about the drink was sung, and finally, the steaming hot beverage was served. Today, wassails are still held in homes or as public celebrations in many countries throughout the world, such as Great Britain, Canada and the U.S. The celebrations can be as simple as gathering some friends for hot cider to more elaborate celebrations involving the production of short plays (called mummer plays) or caroling through apple orchards. Invite friends and family to share the occasion. Dress up the house for a festive holiday occasion. 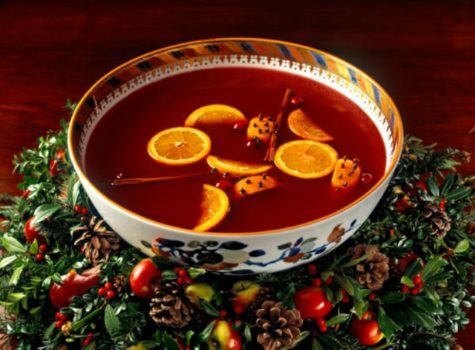 Serve a warm beverage, such as spiced apple cider, mulled wine or the like, from a bowl. This is a must! Otherwise, it’s not really a wassail. Serve food that’s warm and hearty, like beef pot pie or warm potato wedges with bacon, cheese and sour cream toppings. Christmas pudding or any kind of spice cake or pound cake should do nicely for dessert. Partake in games that involve teams of players, like charades, Cranium, Pictionary or Taboo. The object is simply to have a good time and share the joy of the season! 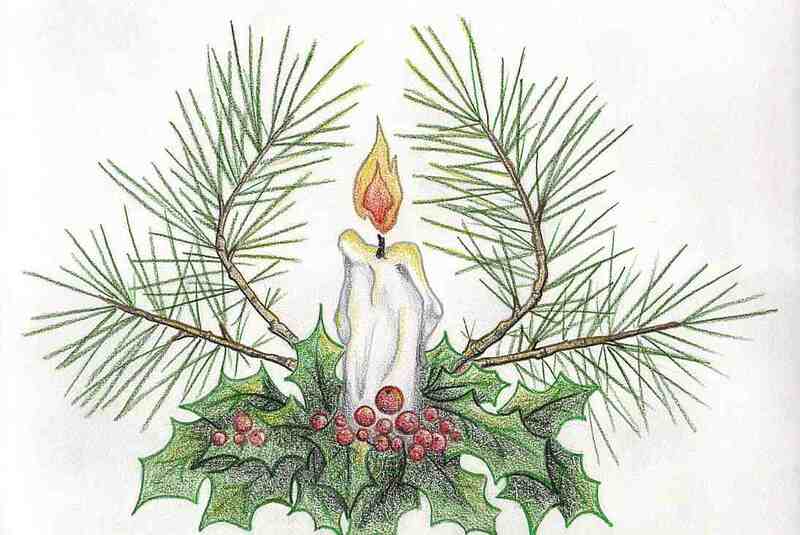 Here is a simple wassail ceremony. Heat a large container of ale or beer – about 3 or 4 pints. Cut up 2 or 3 small sweet apples and add those. Add 1 1/4 cup of pineapple juice and the same of orange. Squeeze 2 lemons into the brew. Place over a slow flame; then, before it begins to boil, take off the heat and whip up some cream. Let this float on top of the brew like foam. Put into a suitably large bowl (the more ornate the better). Toast several slices of bread, if you have fruit cake you can use pieces of that instead. Now, with a few friends, go out to the tree or trees (see note below). Dip pieces of toasted bread into the brew and place in the branches of the tree. Hang pieces of bread and cake from the higher twigs to encourage robins (guardian spirits of the trees). Bend the lower branches down and dip their ends in the brew. Wet the roots liberally with the brew. Pass the rest around and when everyone is thoroughly warmed up, sing a wassailing song. Lift your glasses to the tree and shout “Huzzah!” three times as loudly as you can. These don’t have to be apple trees, since any tree will benefit from a well-intentioned blessing, but it is traditional to wassail fruit-bearing trees. You can wassail the trees in your yard, near your home, or trees in some previously selected area.